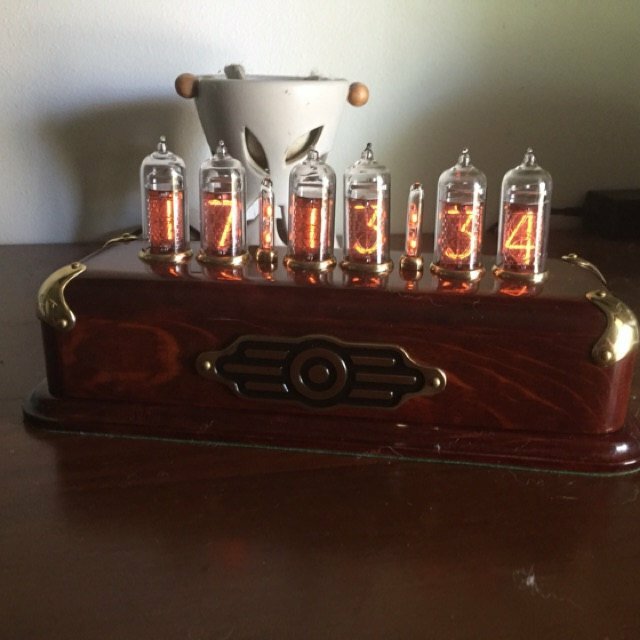 I just wanted to thank you and tell you how wonderfully impressed with your craftsmanship on this clock. I just got it today and I have to say, it’s the most stunningly beautiful piece I’ve ever seen. Your pictures simply do not describe your work. These are art, functioning art. Better than professional for sure. Your work is unmatched now that I can see it and hold it in person. I honestly believe nobody can even come close, well worth the value! Thanks again for all of your time and effort, it’s truly appreciated and I hope you don’t mind if I recommend your business if anyone asks about where I got my clock. Many of my friends are already intrigued by it. Could not express how happy I am with this purchase. The quality and finish is a work of art, and the clock arrived already set to the correct time in my time zone. Would gladly recommend this seller to anyone who wants a unique timepiece with a retro feel, that is bound to become a conversation piece. 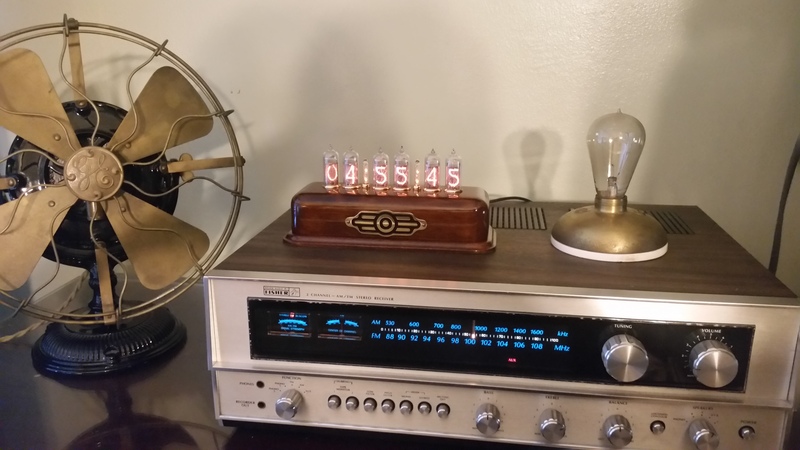 Read more nixie tube clock reviews on Etsy.com.